Contributing nearly 30% of the livestock sector GDP, Tanzania’s dairy industry is one of the most important and fastest growing sectors in the country’s economy and it plays a key role in alleviating poverty and food insecurity. 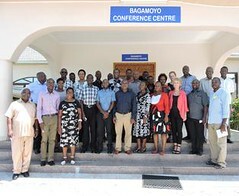 A recent study analysed how dairy sector players are likely to benefit from interventions proposed in the Tanzania livestock modernization initiative (TLMI). 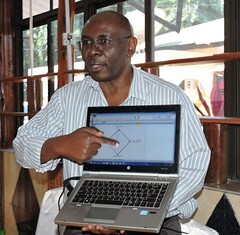 A paper from the study, ‘Production and consumption responses to policy interventions in Tanzania’s dairy industry’, shows that the country’s dairy farmers and their families, consumers and other actors in the milk value chain will get significant economic and nutritional benefits from the implementation of the TLMI. 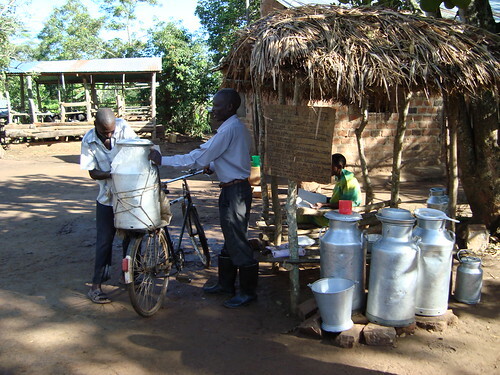 According to the author, Edgar Twine, a value chain economist working with the International Livestock Research Institute (ILRI) in Tanzania, the proposed measures will address milk supply constraints and significantly enhance the country’s dairy industry. Milk producers will gain more than one billion shillings (USD 500,000) annually from implementation of three key interventions— improved access to inputs, increase in the national dairy herd and better industry regulation. These measures will lead to an increase in milk supply, better milk prices for farmers and increased consumption of milk across the country. The Tanzania government launched the livestock modernization initiative in 2015 with support from the Royal Danish Embassy and ILRI. The initiative seeks to harmonize dairy production with other government policies and programs such as the National Livestock Policy to improve the welfare of milk producers, consumers and other agents involved in the dairy value chain. Providing appropriate technologies, institutions and business models that encourage greater investment in the industry are key goals of the plan. Tags: Edgar Twine, Milk. Bookmark the permalink.